Massachusetts saw the number of "zombie" foreclosures decline 46 percent in the third quarter of 2014 compared to Q3 2013, according to the "Zombie Foreclosure Report" released by RealtyTrac on October 30, 2014. RealtyTrac defines zombie foreclosures as residential properties in the process of foreclosure that have been vacated by the owners, but these properties have not gone through the entire foreclosure process yet. In Massachusetts – it is different from state to state – the recording of a foreclosure deed is the final step in the foreclosure process. The number of zombie foreclosures nationwide totaled 117,298 in the third quarter, a 17 percent decline from the second quarter and 23 percent decline from Q3 2013 (152,033). Zombie properties comprised 18 percent of all active foreclosures in the United States during the third quarter. 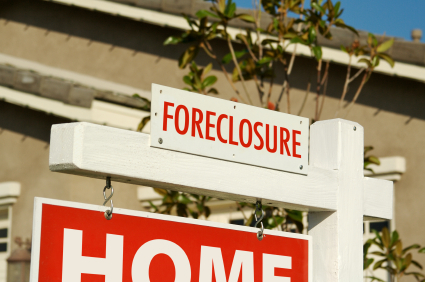 Not all of these properties will reach final foreclosure. Some will sell as short sales. RealtyTrac reported that the number of zombie foreclosures declined year-over-year in 33 states and in 152 out of 212 metropolitan areas, which were defined as metro areas with a population of more than 200,000 in Q3. Missouri saw the biggest year-over-year decline in zombie foreclosures of any state, at 73 percent, followed by Virginia (59 percent), California (56 percent), Massachusetts (46 percent), New Hampshire (45 percent), and Illinois (44 percent). The metro area with the largest drop in zombie foreclosures, comparing Q3 2013 to Q3 2014, was Portland, Oregon, at 53 percent. Cleveland, Phoenix, and Boston each saw zombie foreclosures decline 52 percent, and Jacksonville, Florida saw a 51 percent decline. The decline is Boston is not a surprise after considering the recently hot Boston real estate market. There were 16 states that saw a year-over-year increase in zombie foreclosures during the third quarter, and New Jersey topped the list with a 75 percent increase. The Garden State was followed by North Carolina (65 percent), Oklahoma (37 percent), New York (30 percent), and Alabama (29 percent). The five metropolitan areas with the largest year-over-year increase in zombie foreclosures were Trenton, New Jersey (106 percent), Atlantic City, New Jersey (98 percent), Rochester, New York (49 percent), Washington, D.C. (up 40 percent), and New York City (38 percent).